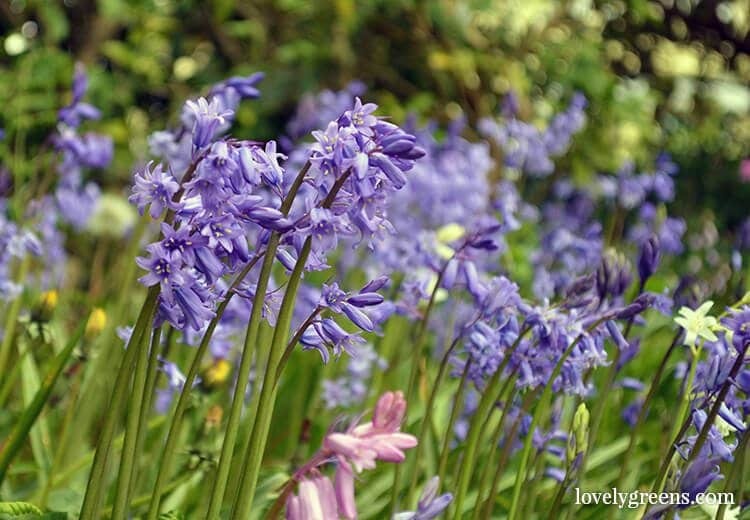 Bluebells aren’t Britain’s favourite flower for nothing. They’re vibrantly purple, have an intoxicating scent, and come up year after year with very little maintenance. They’re also a very important source of nectar for bees and butterflies and are some of the best cut flowers I can think of. They last ages and will fill a room with sweet fragrance. 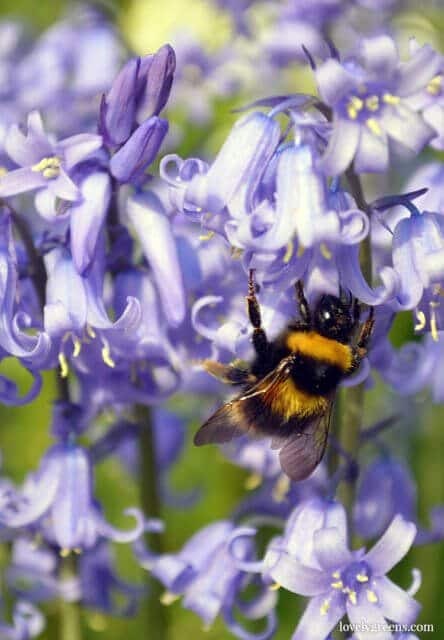 Up to half of the world’s bluebells grow in Britain and though it is a wildflower, it adapts quite readily to our gardens and borders. 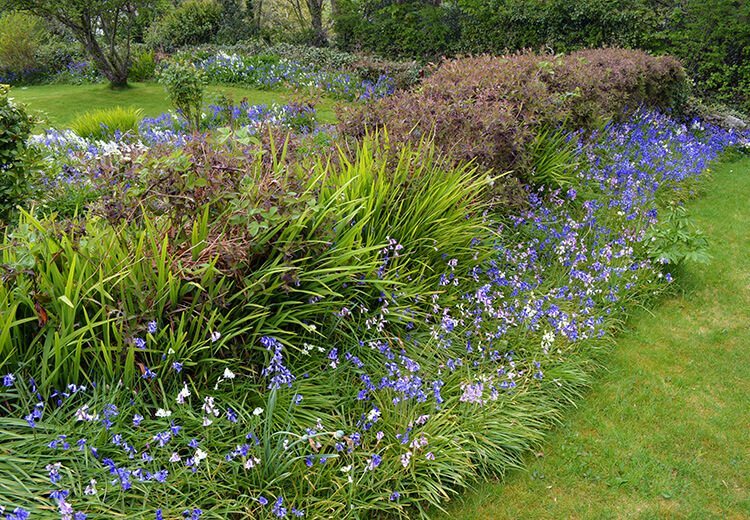 Once planted, the bulbs will increase over the years and swathes of blue will take over parts of your outdoor space. From late April to the end of May they celebrate early spring with their gently bobbing bells then they slowly fade away for another year. They’re grown mainly from bulbs. Dry bulbs can be purchased and planted in the Autumn. Plant single bulbs six inches deep and six inches apart. You can also transplant them ‘In the Green’, meaning when they’re bearing leaves and flowers. 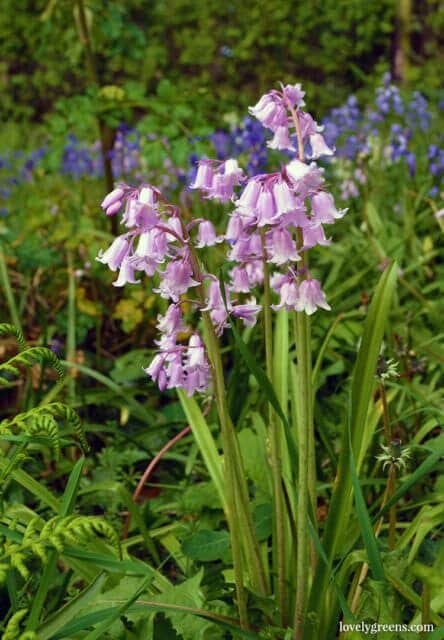 Please do not dig them from wild areas though since one of the biggest threat to wild Bluebells is people digging them up for their gardens. Instead, buy them from garden centres for get them from a friend’s garden. It can take time for them to become established but they will, over time, form large swathes if the conditions are right. They’re a perennial and can be left in-situ to come up year after year. Plant them under deciduous trees and shrubs. They grow and blossom before the green leaves on their taller neighbours appear. Once the flowers are spent, leave the green leaves to grow and fill the bulbs with nutrients. Don’t cut the leaves down until they are fully yellow. 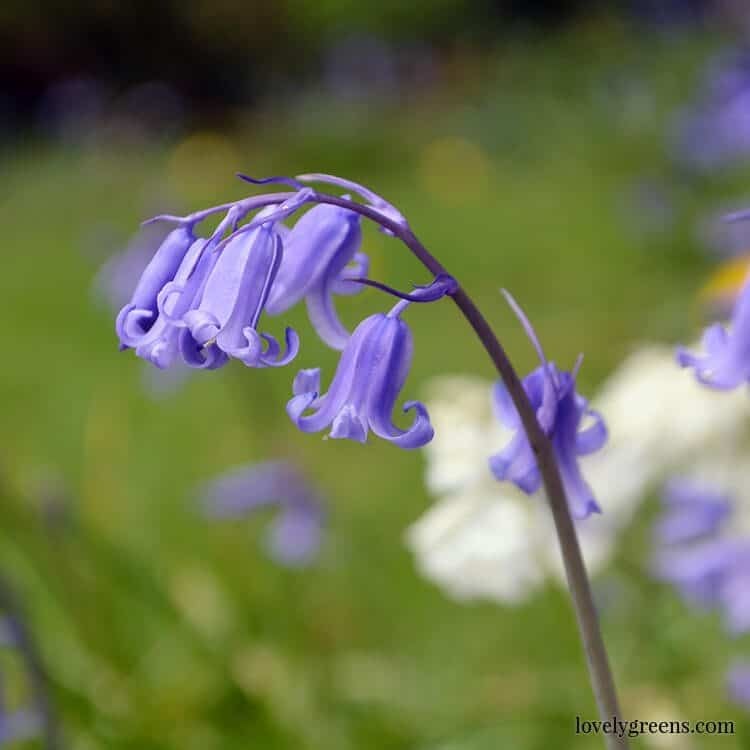 The bluebells in my garden were there when I arrived and by their sheer numbers I think they must have been planted decades ago. For most of the growing year you wouldn’t even guess their small white bulbs were lurking under the surface unless you accidentally dig them up. They cling to the sides of the garden where the soil is the most moist and in the wild you’ll often find them in shady woodlands and glens and sharing space with wild garlic. I literally give them no thought or concern at all except to admire their beauty, pick them as cut flowers, and then look forward to them appearing again the following spring. In folklore they were known as ‘Fairy Flowers’. It was believed fairies used them to trap passers by – especially children! They make excellent cut flowers but keep them away from little ones and animals.